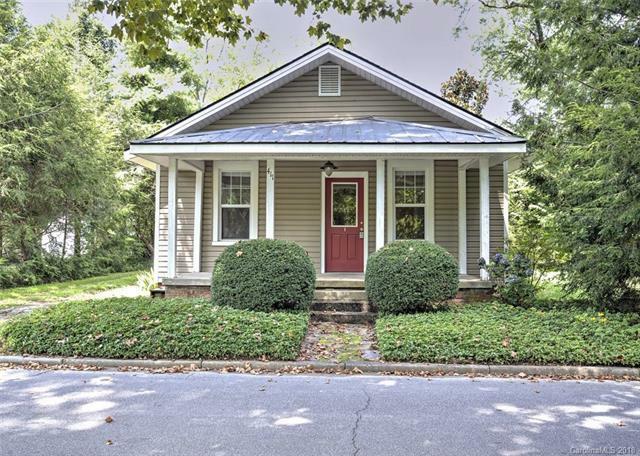 411 Spring Street, Hendersonville, NC 28739 (#3407395) :: Robert Greene Real Estate, Inc. HUGE PRICE REDUCTION!!! Take a step back in time with this beautifully maintained 1920's bungalow just steps from downtown Hendersonville. This home boast of original charm with tons of natural light, gorgeous hardwood floors and beadboard ceilings. Large master bedroom with additional room for office/ sitting room or huge walk in closet. Updated kitchen with bamboo floors, new cabinetry, stainless sink and butcher block countertop. Sit and relax on your covered front porch or entertain in your private back courtyard. This home is a must see!! Sold by Dk Professionals Realty Lake Lure.